Once upon a time there lived a simple carpenter with a deep, dark secret. By day he would make rudimentary items of furniture for the fellow residents of his small settlement, bringing simple but highly practical things like bunk beds, wardrobes and those globes that are really a drinks cabinet. At night he mounts his trust metal steed and roams the streets with a shotgun, looking for Romans and Tax Collectors to dish out his unique holy justice upon. Nobody fucks with the Jesus. 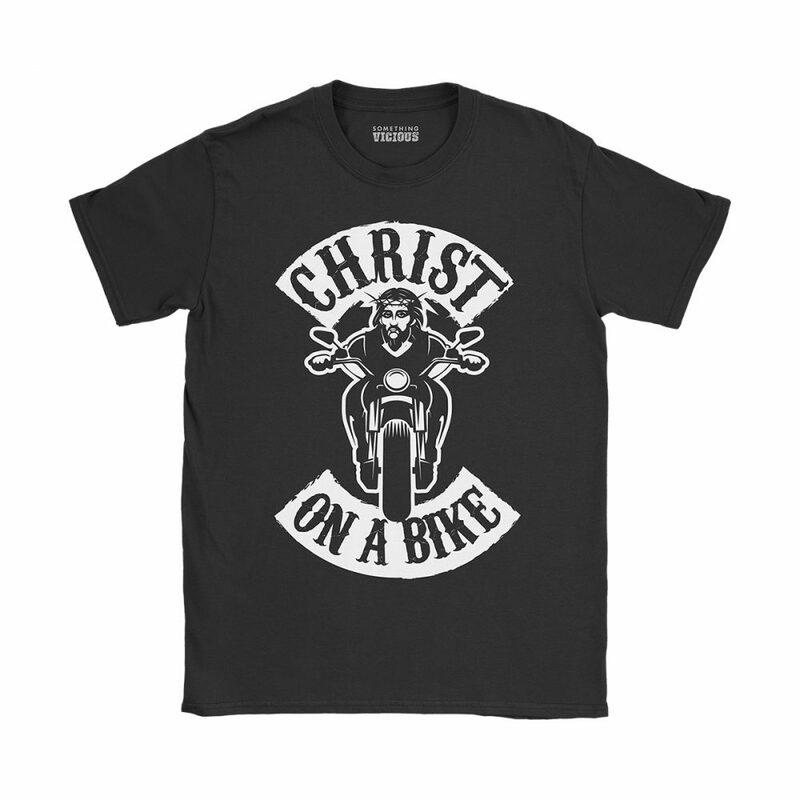 This exclusive design pays homage to the Holy Trinity of Jesus, Motorbike Clubs and Puns. Printed direct to garment in long lasting inks onto premium quality, eco-friendly organic cotton and shipped with love to your doormat.